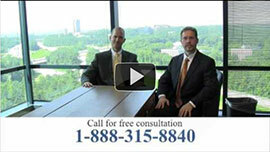 ← Do You Need a Motorcycle Accident Lawyer in Atlanta? Our personal injury lawyers take pride in fighting for your legal rights. By specializing solely in personal injury claims, we are able to successfully and proudly serve residents of Georgia, Alabama, and Florida. With our 40+ years of combined experience, we brought success to our clients in over 500+ cases! In fact, our past settlements and verdicts range from $10,000 for minor accidents, and $40 million for catastrophic injury cases. Our impressive track record speaks for itself! When we consult with you regarding your case, we patiently listen to you and we strive to reach the settlement you deserve. During our initial conversation we must ascertain various details from you. Who is currently at fault? Is outpatient or inpatient care needed? If so, what are the estimated medical expenses? Was a police investigation conducted yet? Gaining this information from you during our preliminary consultation allows us to determine whether or not you have a bona fide personal injury case. If so, we will whole-heartedly work to build your case and fight for you in court, if needed. Furthermore, we are proficient in dealing with insurance companies, and we recognize the great importance in obtaining the compensation you deserve. If you need a personal injury attorney in Newnan, GA. our attorneys are here for you. You can come to our office or call us for your free, no-obligation consultation at 404-315-8840. For your convenience, if you do not have the transportation means to come to us, we will come to you! This entry was posted in Blog, Personal Injury Attorneys and tagged Personal injury attorney Newnan. Bookmark the permalink.